there was no food at all. The people of Bristol, England, though God had more important things to care about than an orphan's breakfast. 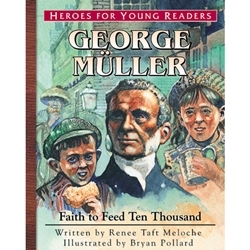 But George Müller (1805-1898) and soon the orphans themselves - knew that wasn't true. George had opened an orphanage, trusting God to provide for the needs of the orphans. By the time George was old, God had shown Himself faithful to ten thousand children! Homes, food, education, love - God provided it all.